Sport utility vehicles are often advertised as being safer than smaller cars. Yet lawsuits against SUV manufacturers such as Ford, Toyota and Honda show this is not the case. Many SUVs put people at higher risk of serious injury because of distinct design flaws that lead to these vehicles rolling over. At Kramer Law, we offer the experience and legal skills you need to obtain a fair recovery after a rollover accident. 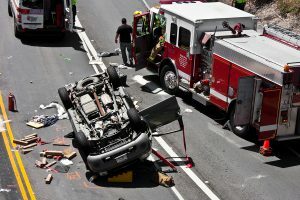 If you or someone you love was involved in an accident where the SUV flipped over, it is important that you talk to a seasoned Orlando car accident attorney immediately. Car manufacturers market SUVs as family cars – spacious, heavy and safe. Yet SUVs tend to be top heavy, and flipping over is a well-known defect in many models. In fact, the Insurance Institute for Highway Safety says that there are more than 10,000 rollover deaths in our country every year. Why are There So Many Rollover Deaths? SUVs are more likely to roll over than most other passenger cars due to their height, weight, and narrow frame. The tragedy of rollover accidents and fatalities is that most of them are due to manufacturing flaws and defective structural integrity that could be corrected. Roof crush: the roofs on many sport utility vehicles are not strong enough to protect passengers in a rollover accident. When SUVs roll over onto their roofs, they are prone to collapse and crush the occupants inside. There have also been a number of cases where roof collapse ejected the SUV occupants through windows and windshields, causing further harm. Recent government regulations call for SUV roofs to be strengthened; while the new standards are being phased in by 2017, many automakers have not changed to the new standards. One of the most frightening statistics about rollover accidents is that 90% of them only involve one car. That’s right – you do not have to be in a two or three-car collision for your SUV to roll over and cause you serious medical harm. It might just be that you took a corner too sharply or hit a patch of Orlando road that was too wet. This kind of accident occurs suddenly, and the consequences can be dire even when they are not fatal. These forms of catastrophic injuries can damage you for life, affecting your ability to live normally and earn an income. Our attorneys are here to assist you in securing the maximum financial compensation so critical for covering exorbitant hospital bills, long-term rehabilitation bills, lost wages and pain and suffering. If a family member was lost due to SUV rollover injuries, Kramer Law can help you seek money damages to remedy financial hardship, lost income and loss of love and companionship. Whether you are going up against a giant corporation like a car manufacturer and their attorneys, or suing a negligent driver who caused your accident, you might feel like you have no chance at winning. 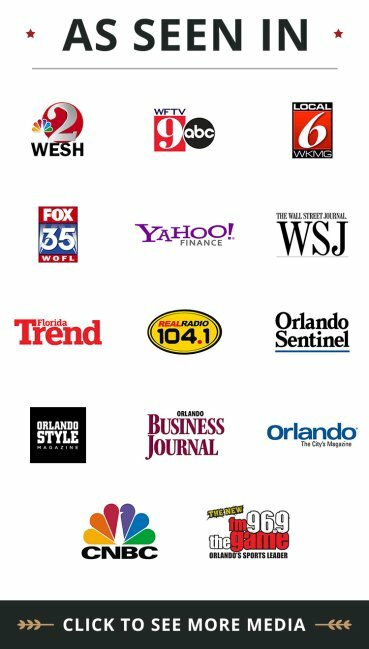 The key is to work with an Orlando lawyer who is capable of handling the complex nature of rollover accident cases as well as wrongful death cases. Kramer Law will represent you with the highest degree of skill and competency. We have significant experience helping clients just like you fight and win their accident claims. We pursue justice and accountability. Contact Kramer Law to speak personally with an experienced personal injury attorney: 855-Kramer-Now (855-572-6376).